Everyone loves to hit the road in their car but charging electronic devices like smartphones and laptops become a problem during long hours of drive. Besides, charging devices during the trip also becomes a necessity sometimes when you have any crucial meeting scheduled or your smartphone runs out of battery. 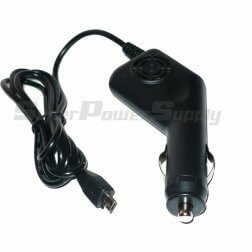 Super Power Supply® in-car chargers are the perfect solutions for all these unanswered calls to avail reliable power supply to charge your electronic gadgets like laptop, smartphone, notebook, GPS, camera, DVD Player player, etc. Our range varies from mobile charger for car, tablets & eReaders car chargers. Life is moving at a faster pace and so are the people. Those who have skipped charging their device accidentally, Super Power Supply® range of cell phone car charger and laptop car charger are the perfect savior for them. Other than this, none of the electronic device available in the market is supplied with charging adapter compatible with cars. So, it has become a necessity to buy a compatible in-car charger to ensure effortless functionality of your gadgets. No matter whether you are looking forward to buy smartphone car charger, laptop car charger or GPS car charger, Super Power Supply® offers charging solution for all your gadgets. To keep the ever-changing demands of the travelers, we are offering travel car charger for Smartphones, Notebook, Laptops, Music Players, DVD Players, Cigarette Lighters, Tablets, Hard Drive, eReader, etc. Each of our car chargers is designed by keeping the technical specifications of individual products for assuring quality equals or even better than OEM chargers. Shop with confidence.